Habitat for Humanity has been in existence since 1976 and has been an organization present in Windsor-Essex County since 1994. Over the past 20 years, Habitat for Humanity has built 53 homes for those families in need. We at Meloche Windows and Doors have taken note to the good nature of this organization and what it accomplishes in this community. 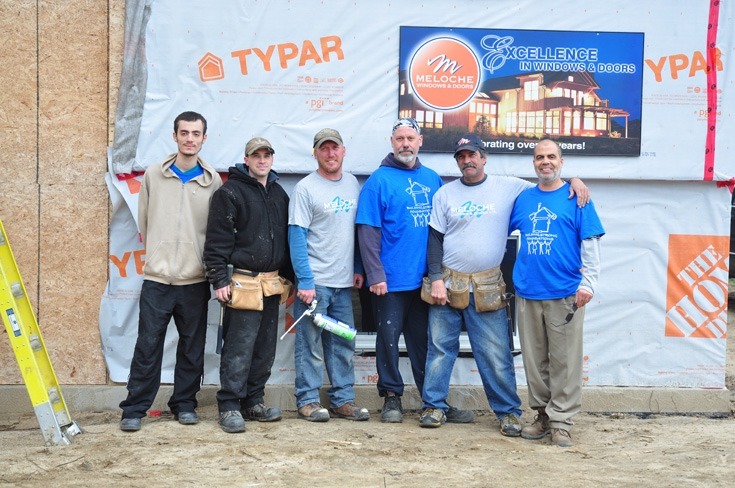 This year, we donated our time and products, providing and installing all the windows and doors required in a build. On May 2, 2014, we installed the windows and doors on the home at 1215 Armanda Road in Lasalle. This much deserved family will be kept extremely warm in the winter and extremely cool in the summer. We are humbled, not only as individuals, but also as an organization, at the opportunity that this project is. Our efforts pale in comparison to what Habitat for Humanity represents to Windsor-Essex County residents in need. We can only hope that what we gave and can give to those in need represents a sign of hope and faith of all the great things to come. For more pictures of our install, please visit our Facebook page.